11-year-old Jewish boy knocked to the ground in Williamsburg. NYPD searching for gang of 10 suspects involved in attack. 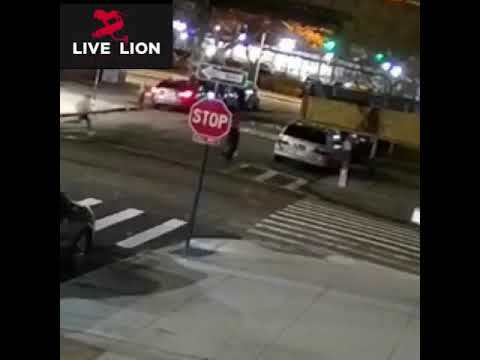 An 11-year-old boy from Williamsburg’s Hasidic community was assaulted Sunday night in what may be the latest anti-Semitic incident in Brooklyn, following a string of physical attacks on Jews and Jewish institutions in the area. The incident occurred at 6:09 p.m. Sunday evening at the corner of Throop Avenue and Walton Street in the Broadway Triangle neighborhood of Williamsburg. A gang of 10 young men can be seen passing by the scene of the crime shortly before the attack. One of the 10 men then walks back to the corner, spots the 11-year-old boy, runs over to his victim, and knocks him to the ground. The assailant and the other members of the gang then flee the scene. Video of the attack was taken by a security camera across the street. The local Jewish watch group, the Williamsburg Shomrim, was notified shortly thereafter, and a medical team from Williamsburg Hatzolah was dispatched to treat the child, who suffered minor injuries. The New York Police Department opened an investigation into the attack. While authorities have yet to declare the incident a hate-crime, City Councilman Kalman Yeager warned that attacks on Jews appeared to be the “new normal” in New York. Last month, two Orthodox Jewish men were attacked in separate incidents in Brooklyn. Earlier this month, a number of Jewish schools and synagogues were vandalized with graffiti or hit by arsonists in a string of anti-Semitic incidents.